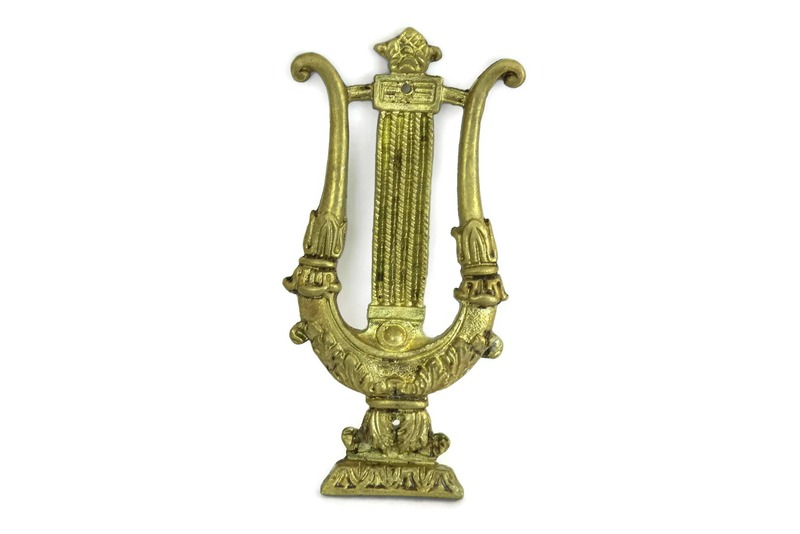 Antique Furniture Ornament with Lyre and Acanthus Leaf Design. 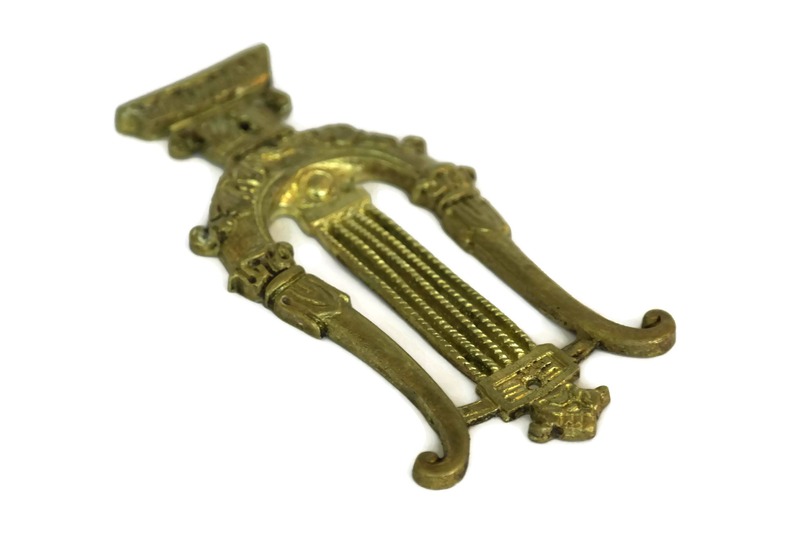 French Gilt Brass Furniture Pediment. 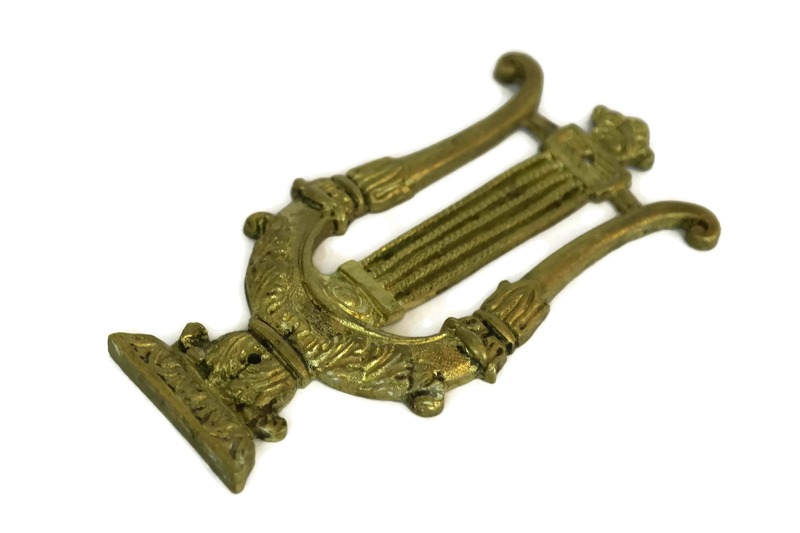 Furniture Hardware. 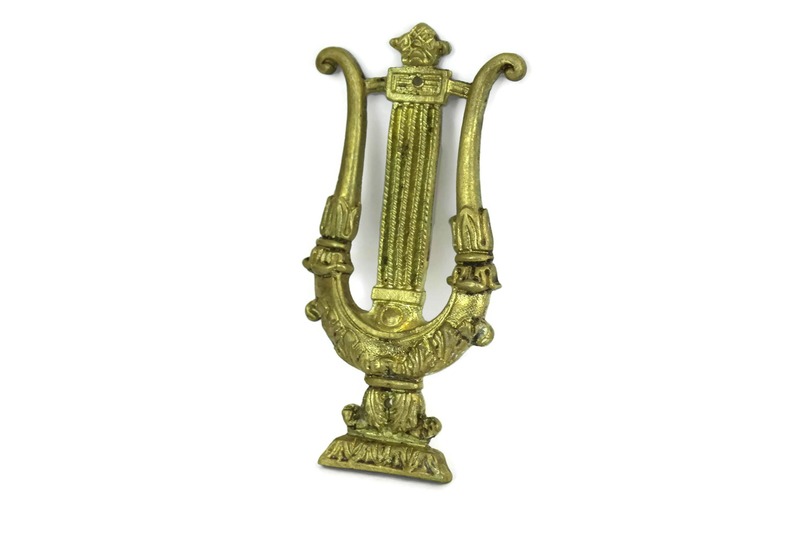 An elegant antique French furniture decoration from the 1800s. 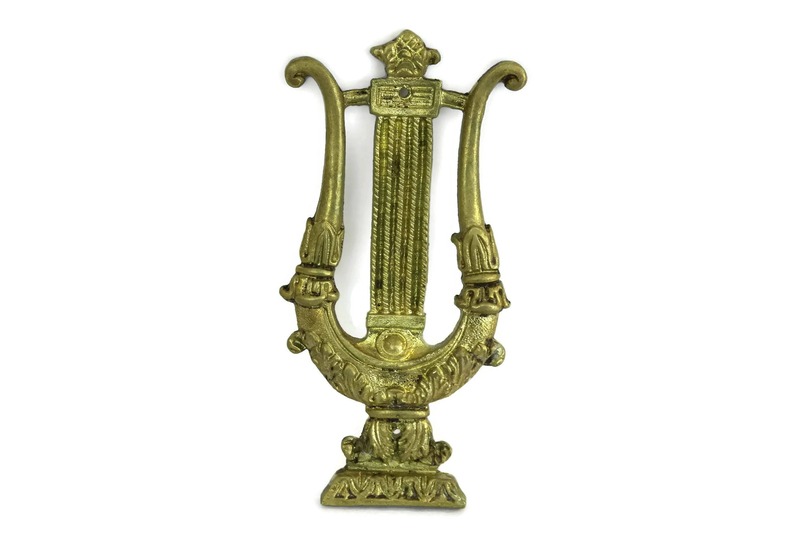 It has been cast from gilt brass in the form of a lyre and feature an ornate acanthus leaf design. 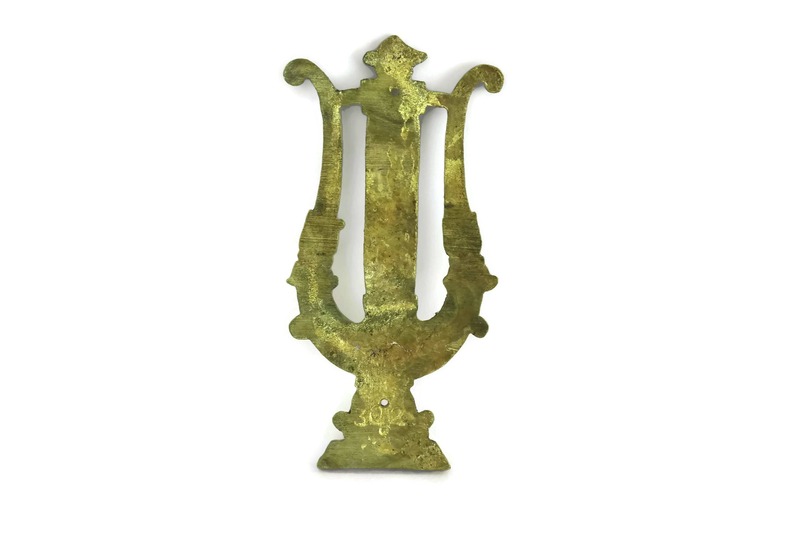 Originally the ornament would have decorated a piece of French furniture. 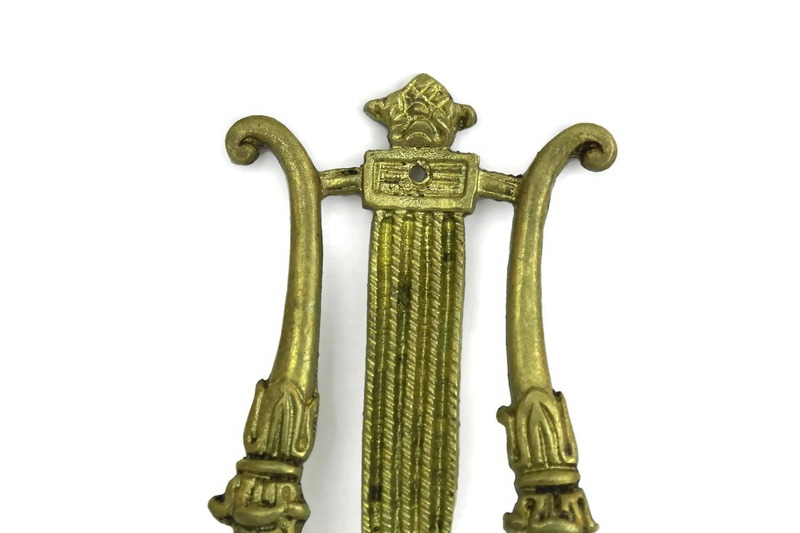 There are 2 small holes on each for attaching to a flat surface. 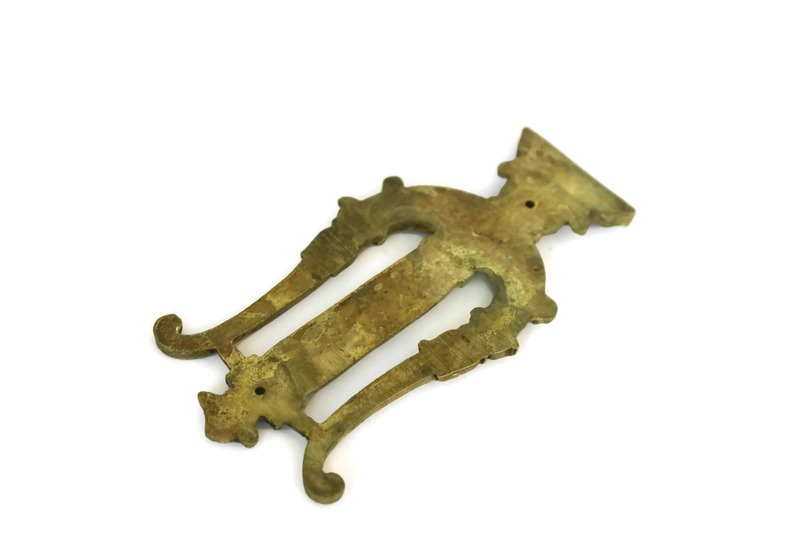 The antique furniture pediment is in very good condition. 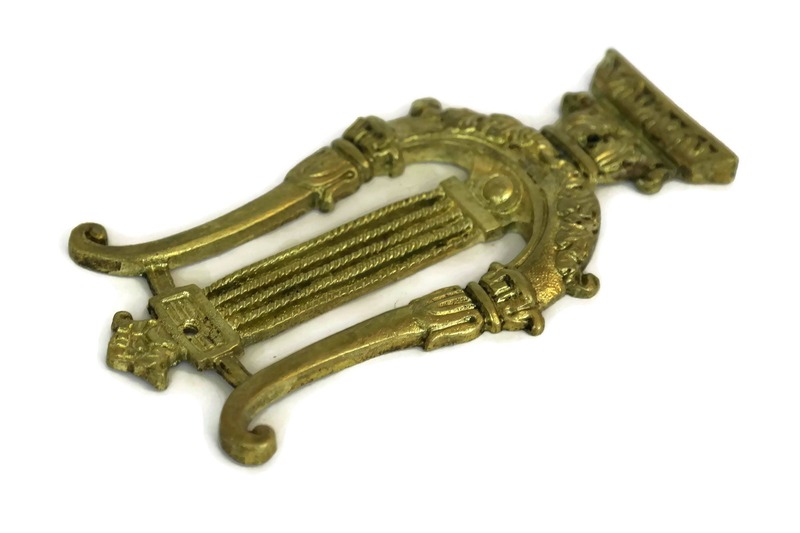 Très bel objet. 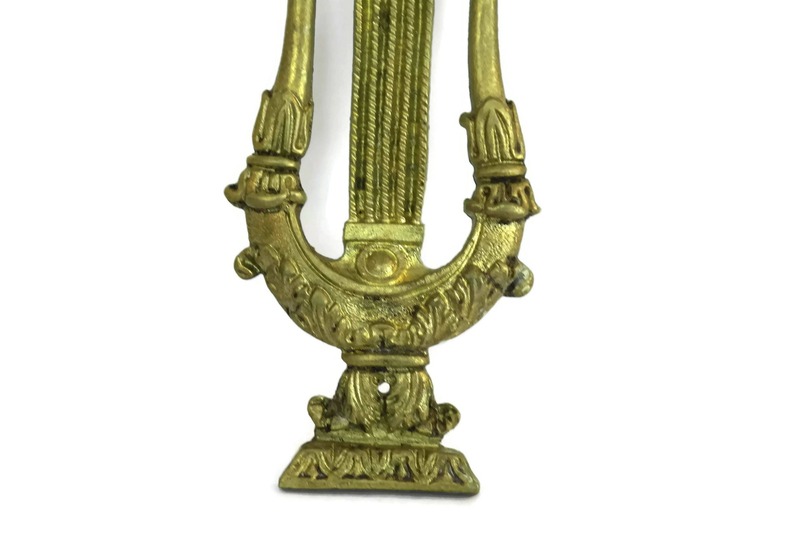 Envoi rapide et soigné. Merci beaucoup.